Cotton Kurtas are available with short or long sleeves in many different colors. From a distance there appears to be one main color, though these kurtas are made up of a combination of colored threads. Shades of color may vary, for example: if Blue is ordered then a lighter or darker blue could be sent, depending on what's available. 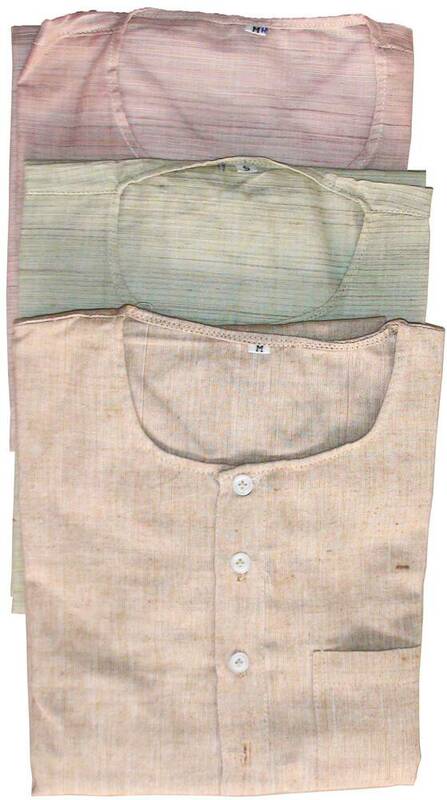 Question: Hello, my chest size is 116 cm (46 in), which size of Kurta do you recommand and is the color (blue) the same as the pants cotton Khadi plain color? Have a nice day.